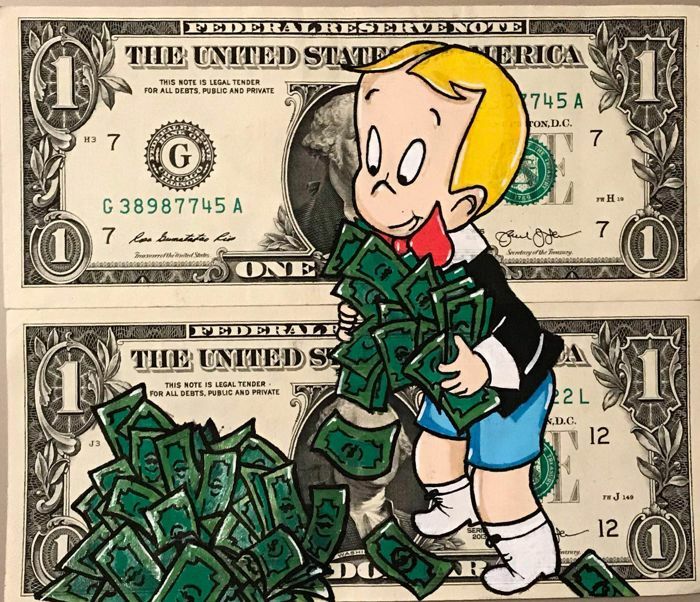 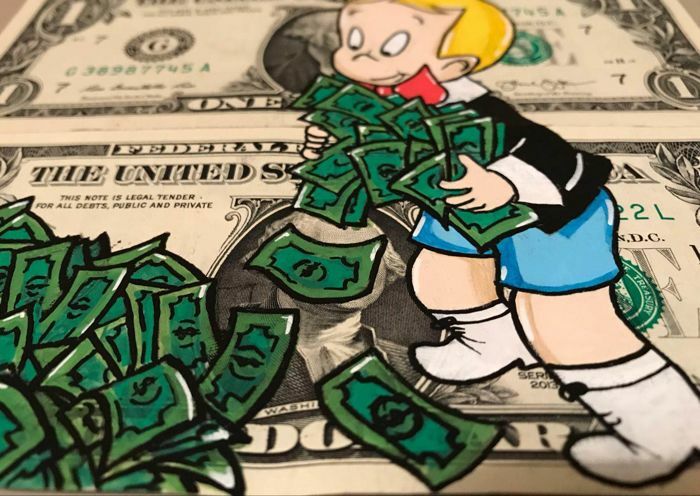 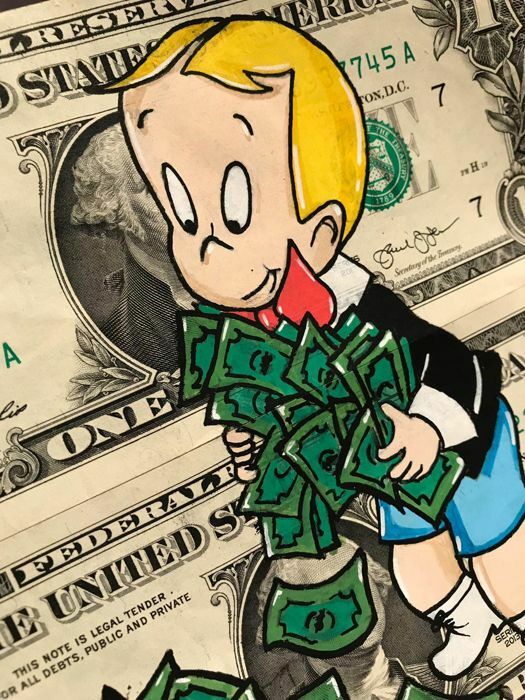 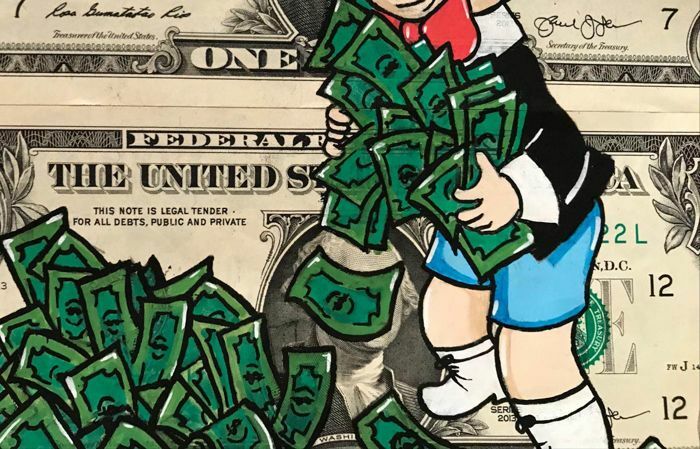 Drawing of Richie Rich and his money made with acrylic paint in real dollar bills. 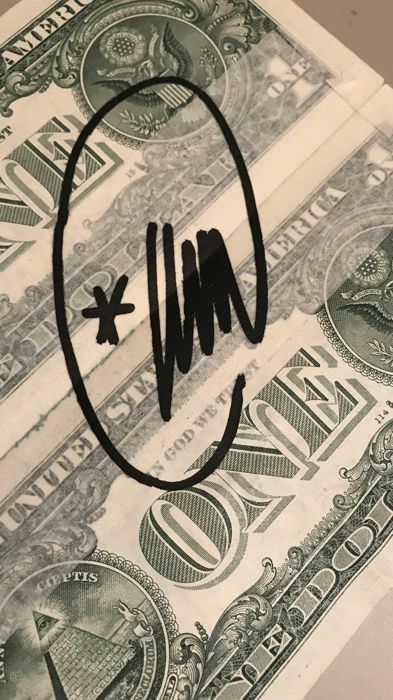 Signed and stamp on the back, will be attached COA certificate of authenticity. 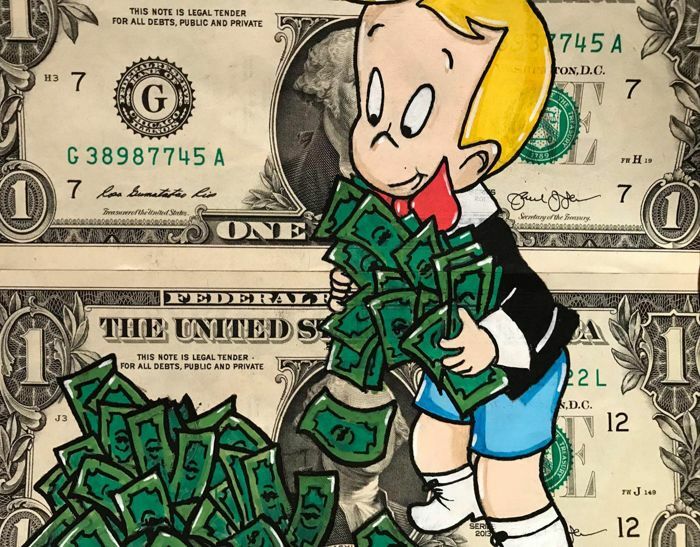 Perfect to expand your collection.